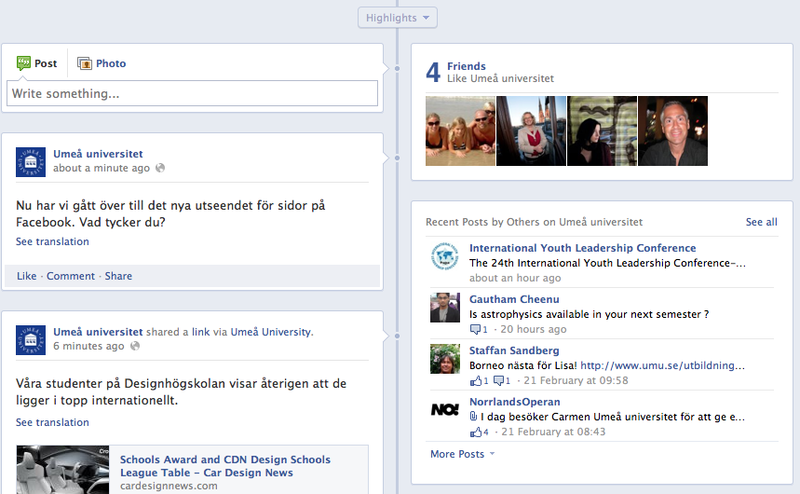 Website Analytics in Swedish Higher Education – Time to get our game on. 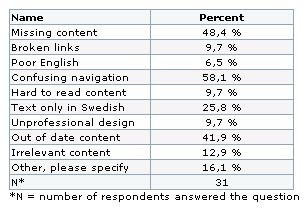 I don’t think there has been a better time to be a web editor of English content in Swedish higher education. The impending advent of fees means that your university’s digital real estate just went up in value and, as a result, so did yours. If you’re writing or creating English content then you’re responsible for the most powerful marketing tool your university has. Probably for the first time your management are talking about web marketing, search engine optimization and social media. They may even have given you some money to spend on these things – you lucky people. Chances are that you’re also suddenly being invited to a lot more meetings and, sometime soon, you’ll be asked how well the website’s working and what –exactly-was the result of all those millions invested in it? If you’re unlucky, your management will ask – after all your SEO, usability, coding, staff training, research and editing work – why the website still ‘looks’ the same – you’ll need some killer answers: analytics can help. Previously, Sweden’s unique offering of free, high quality, education meant that a website made of cheese would still be used to make an application. Things are a little different now. To convert website visitors into paying students our websites need to be functional and fit for purpose. As content managers it is our job to show what is working, and what is not. Goals – okay, so your website goals could be one, or a combination of several different metrics and, yes, this may include increasing the number of visitors. But how about segmenting out visitors from the countries you are specifically targeting rather than visits from everyone and their cat? If you’re dealing with admissions locally, and online, then applications made are an extremely powerful goal . Even if, as I suspect most of us are, you’re shunting people onto studera.nu to complete their application then exits to that site could be a goal. Got a bunch of friendly partner universities? Traffic, and conversions, from them could be worth focussing on. Downloads of brochures, registering for a newsletter, email enquiries, film clip views could also be among your measurable goals. Remember that Google Analytics, in contrast to how it was a while ago, allows us to report multiple goals. Low Hanging Fruit – Use your analytics tool to identify where you need to do some work right away. This might include identifying the most important landing pages (it’s not all about your homepage), which content is failing (check out bounce rate for example) and which referrers are sending traffic (who is missing? Who should be sending you traffic, and who are the surprise donors?). Shelby Thayer has more about this in a great post at Trending Upward. Getting an idea of the trends within your data is also enlightening: our organisations are seasonal, with a flow of different visitors whose numbers ebb and rise throughout the year. Knowing which pages they look at and what content they want to consume can help us present the most important content at the right time. What percentage of your traffic comes from search? Is your main domain sending traffic to your faculty sub-domains or are your websites unconnected little islands? Analytics Are Everywhere – That Facebook page you set up? Take a peek under the hood and check out the analytics. That blog the Rektor wanted? Check out the stats and find out how much love it’s getting. If you’ve installed a share function on your news or education pages there’s a rich source of analytics waiting to be looked at there. Conducted an email campaign? Take a look at the open rate and click through data which is lurking, somewhere, out there. Use bit.ly to shorten your URLs in twitter and then check out the lovely analytics interface to see what happens to your tweets. Look beyond views on your YouTube channel and check out the analytics there. See what’s happening on your organisation’s Wikipedia pages with wikistats. Landing Pages – Unless you going down the complete redesign route (shudder) then you need to start your work somewhere. Use your favourite tool to identify your top landing pages (not the most visited) and see how these can be further improved. Take a cold hard look at them, when someone lands on them do they know where they are, and what they should do on the page? You’ll have a good idea what some of your most important pages are, but there’ll probably be a few surprises in there as well. Try segmenting the data. You’re already looking at your international visitors, but consider seeing which pages the international visitors look at when they make an application. Which pages don’t they look at? How many of them never look at the homepage? Do they ever read the news which you slavishly grind out? How many of your international visitors land on your Swedish homepage first? Search Engine Optimisation/Marketing – If you are doing any SEO or paid for advertising then you really need to be checking out your analytics. Are your efforts working? Are those keywords paying off? Do those spikes of traffic have a nice fat conversion rate associated with them? Or (disaster) a high bounce rate? Finally – easier to say, but hardest to accomplish: Do something with the data. Reporting, by itself, will not achieve very much. Grow interest and identify mini projects where you demonstrate change, and improvement, by the application of analytics. For example, the results of SEO or simply moving, or changing, a link or other call to action on your site. Prepare simple reports and send them out to your organisation – it’s my experience that web editors usually find this stuff fascinating. Get evangelical – bring up analytics in your organisation whenever the web is discussed. Gather your web editors and show them what’s going on with their sites – don’t use it as a stick to beat them but as a way to show what’s working, and what can be improved. If people are starting from scratch you will need to run workshops, coach and encourage. Link the analytics to the real world, combine your reporting with other sources of data (market research, surveys, usability testing etc) to make the data less abstract and more focussed on the purpose of your site and organisation. Don’t ‘own’ the data – discuss it with your colleagues, get them to challenge your interpretation of it. Get comfortable with the analytics, start showing some results and let’s earn our ninja stars. Over on my future web blog I’ve just posted on a new report from the UK, on the management of websites in Higher Education. I’ll probably be adding more of the web management stuff there in the future and, when I can find a suitable person, giving over this blog so it can function purely as an admissions blog. I asked them if they felt the pages they looked at added to the credibility of Lund; not unsurprisingly only about half said yes. All the data from the survey, including the evaluator’s opinions on what should be fixed immediately. The title of this blog is lifted from Gerry McGovern’s latest New Thinking article ‘How to manage out of date content’; it’s got a real scary example of the damage out of date content can do. Like, a 76% drop in share price for United Airlines after an old news story about bankruptcy from 2002 got picked up as current, scaring the hell out of an already shaky market. Check out the recent review I did of the research pages of the university. Of 2500 pages, 51% of the pages had not been updated or had no date at all – probably another reason why the experts from the recent research exercise had nothing good to say about the university’s research pages. And, as Gerry’s article shows, it’s not enough to simply update the page date (either intentionally or not). The content needs to be up to date, to reflect what the person looking at it is trying to do. If that person is wondering what research we did 10 years ago, then fine – let it stay but archived appropriately. But if that person is looking at research we did 10 years ago, but thinks its what we do now, then that’s a big problem. When I first read this, I was surprised by the ‘text is often too short’ comment, but (unless my Swedish has gone completely haywire) he qualifies this by explaining that short text often lacks the necessary words to lock in the readers interest. One of the cool things about the article is that he links content to cash, that all texts are used in some way and have the potential to generate either a profit or, unfortunately, a loss if incorrect. Words equal money – I like that. I think that there is a happy medium to be found, clearly you don’t want text which is so short that you struggle to get your meaning across. But I still remain to be convinced that reading longer texts on a computer screen is something we can do with any degree of success. Raspberry Frog has a similar feature about reading, going back over Jakob Nielsen’s eye tracking work. It has some examples of good practice, in their opinion, from the non-profit sector. And finally, speaking of the non profit sector check out User Experience for Non-Profits which has a good article on recruiting research participants.